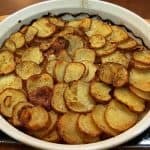 Potatoes Anna Recipe, so much tastier and beautiful than French Fries. 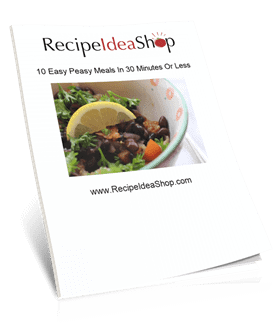 Easy potato cake your family will love. This Potatoes Anna recipe is super easy. I’m an Irish American lass and potatoes are one of my favorite vegetables. Potatoes Anna are pretty and so tasty. 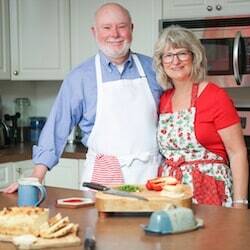 Impress your family; make some tonight. I used a tart pan and it worked perfectly. Note: The original recipe called for 1/3 cup butter. I used that amount when I made it the first time and that was way too much so I cut the amount down to 2 tablespoons. I think olive oil could be easily substituted for the butter and it would taste almost as good. You will need a round casserole dish or pan to bake this, and aren’t these lovely? Le Creuset L2129-2567 Enameled Cast Iron Tatin Dish, 2 quart, Cherry Red. Buy yours on Amazon today. Le Creuset Stoneware 1.45-Quart Tart Dish, Marseille. Buy it on Amazon today. Delicious crispy potato cake that is better than French fries. This Potatoes Anna Recipe is still French, though. Those French know how to make potatoes! Use a food processor to slice the potatoes very thin. Spray oil in a round baking dish, like a glass tart dish. 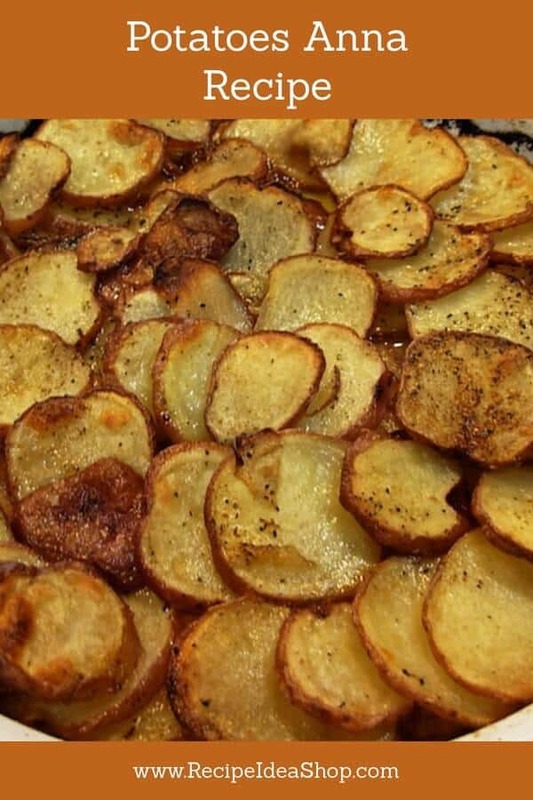 Carefully arrange a layer of potato slices in the bottom of the dish. Repeat until all the potatoes have been layered. Bake uncovered at 400F degrees until the potatoes are tender and turning brown, about an hour. Loosen the edge and bottom with a wide spatula. 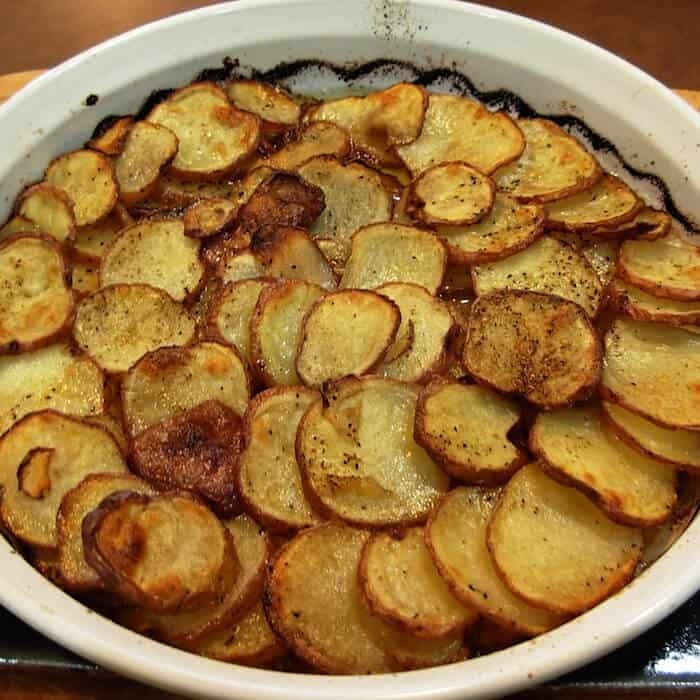 Place an inverted plate or platter over the baking dish and invert the potatoes onto the platter.